East Lynn Community Memorial Gardens Cemetery is just off of East Lynn Rd. 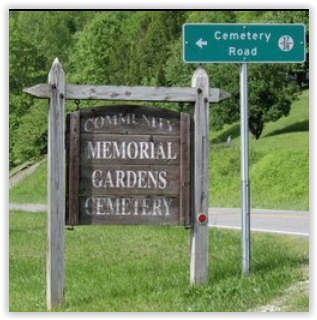 (Highway 37) on the road called E. Lynn Cemetery (37/38), which becomes Memorial Cemetery Rd. as you turn into the cemetery.